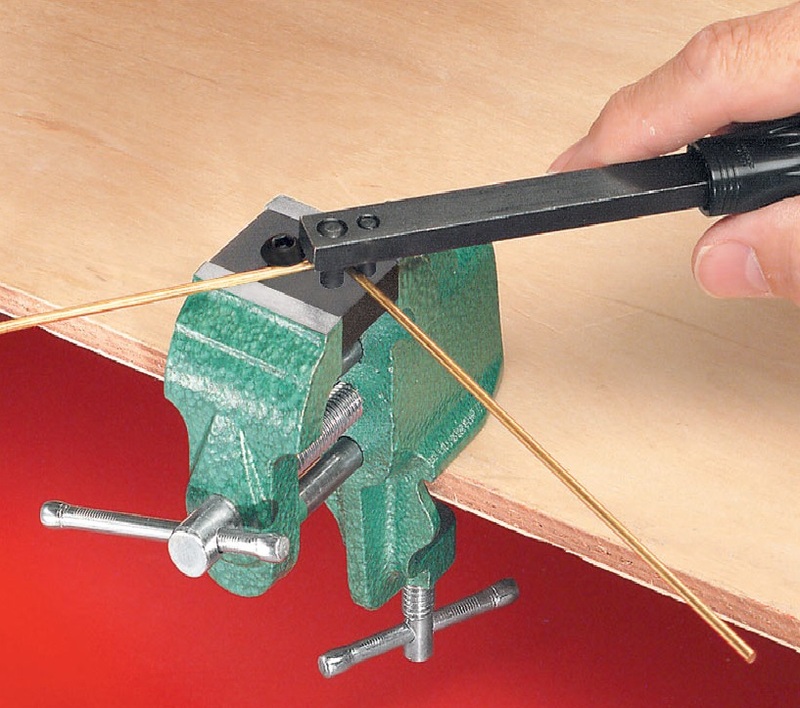 Wire, rod and strip bender makes angles, loops, eyes, U, C & S shapes in brass, copper, and steel, quickly and easily. Even bends the hardest music wire up to 1/8 inch diameter. Made of steel with rust resistant black oxide finish and hardened radius pins. 7 inch-long arm and rubber grip gives extra leverage for tough materials. Must be locked in a vise during use.